It has been really really long time since I last blogged. Almost a year! Selected by Mindtree during the campus placements, finished with Engineering in July 2011 and joining the company in February 2012. All these time, I got quite a few opportunities to travel in Karnataka which I took gladly. Having Dakshina Kannada (South Canara) as my native, first was the one which I was waiting for years, literally! It had been almost 2 years since Bangalore-Mangalore day train had started plying after a gap of almost 15+ years. I always wanted to go in that route, especially the Sakleshpur-Subrahmanya section wherein one can find Western Ghats in all its glory. 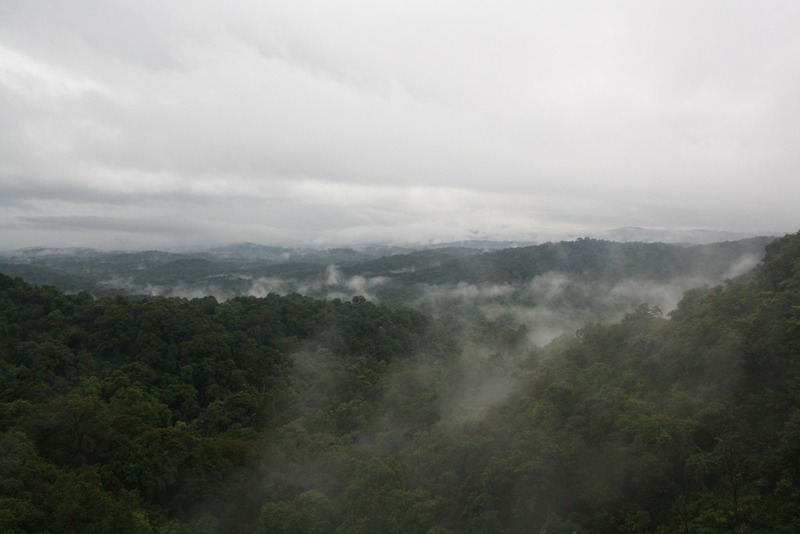 To top it off, Me, my sister & mother decided to go during the end of July, the peak of Monsoon season in South Karnataka. 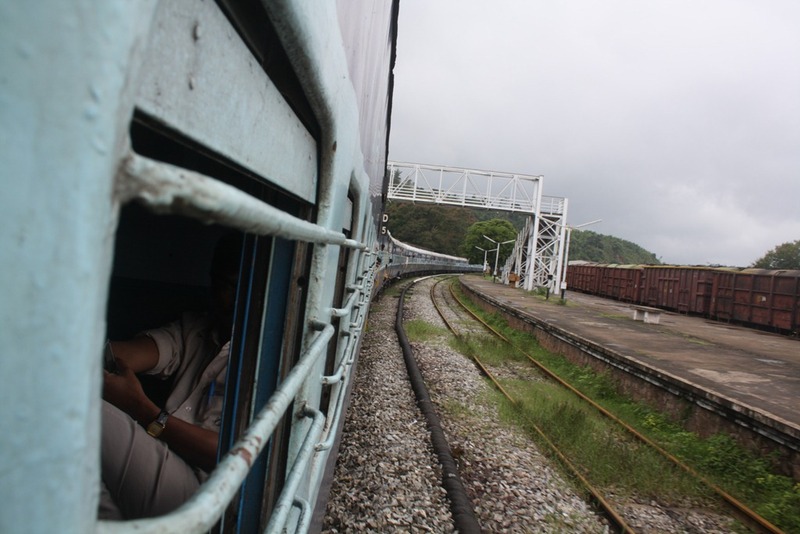 The train leaves Yeshwanthpur station in Bangalore at 7:30 am in the morning. The route is quite awkward, considering that you are travelling to Mangalore, which goes to Tumkur, Tiptur and all the way till Arsikere Junction. And then it goes south to Hassan. And till here its quite boring, not much to enjoy seeing. After Hassan it gets quite interesting and the landscape around you drastically changes. 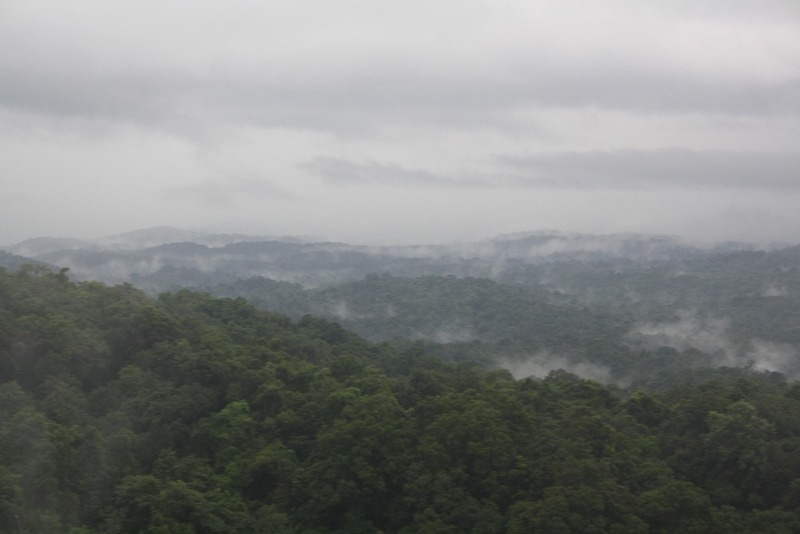 As we neared Sakleshpur, it started drizzling a bit. It is after Sakleshpur that it gets better. 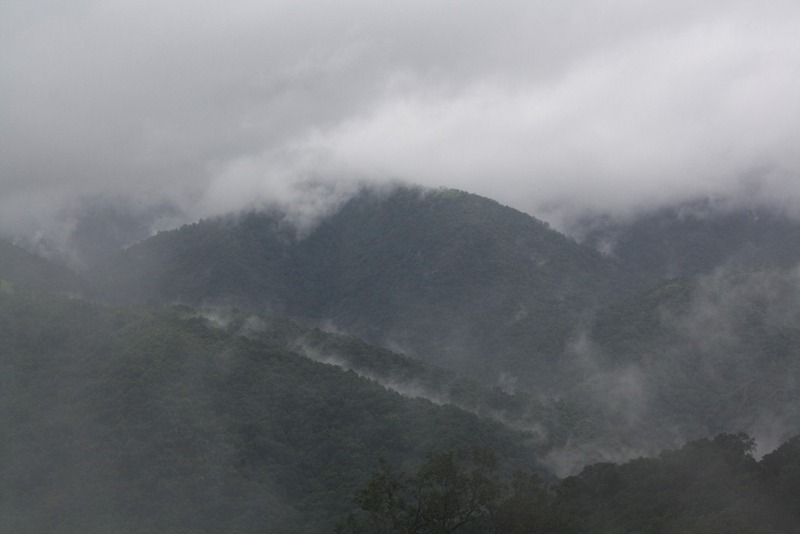 And that even in Monsoon, the huge mountains of Shiradi Ghats start playing hide and seek with the clouds and rain. Forest every direction you look at. 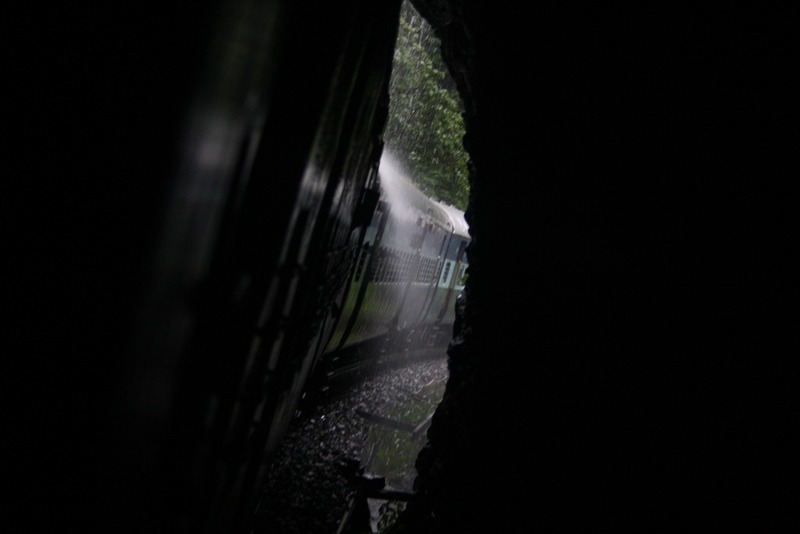 The train hardly goes above 20-30 kmph in this region due to the elevation of the track. This section has 65 tunnels and nearly 100 bridges. Some bridges are easily 150+ feet in height. 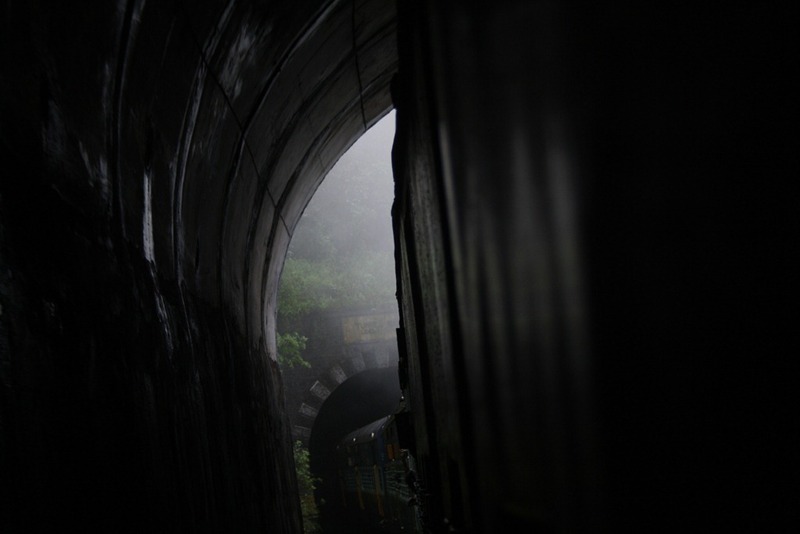 People go crazy screaming at the top of their voices when the train goes through these tunnels. It takes around 2.5-3 hours from Sakleshpur to Subrahmanya, and there is no dull moment during this period. 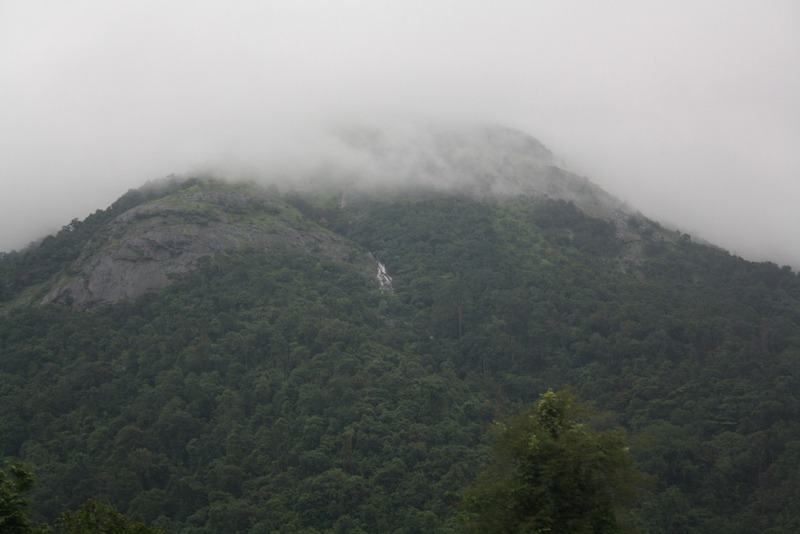 Its a Visual treat with greenery everywhere, innumerable waterfalls, gorgeous mountains etc. It cannot possibly be described in words. It should be experienced! 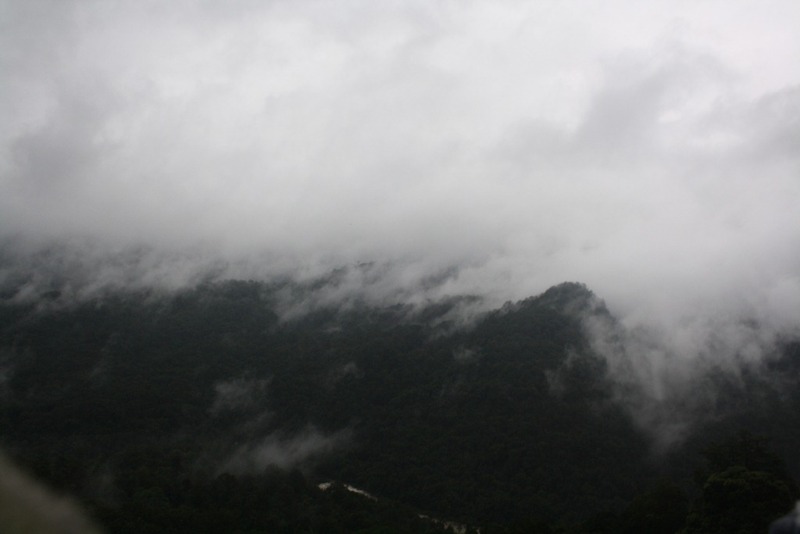 One should visit here once during the monsoon, and again soon after it, which I had the chance to. Both times the experience will be different. Here are some of the select snaps. Click here to view the entire album.